Expert Forum gathered stakeholders from the battery value chain to drive innovation in strategic and critical metals for electrification. 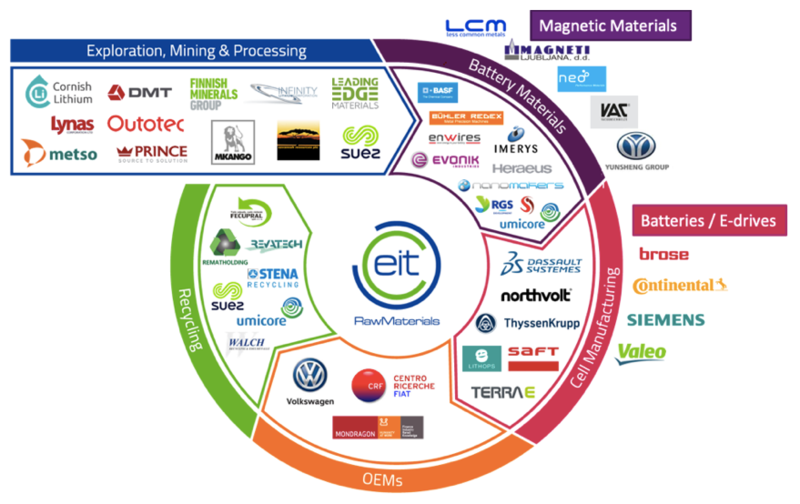 Almost 200 stakeholders from across the battery, as well as magnet and e-drive value chains, gathered at the EIT RawMaterials workshop held in Darmstadt. The event was part of the European Battery Alliance initiative and the EIT RawMaterials Lighthouse Programme on Sustainable Materials for Future Mobility. identify key challenges and solutions. This approach provided fertile grounds for consortia formation that drive innovation through specific projects. Representatives from 75 industry partners (Fig. 1), 29 universities, 12 research organisations, four policy units, and five associations gathered in Darmstadt, Germany. Specific fields of collaboration were identified. The awareness for the need for Sustainable Materials for Future Mobility is growing, which comes with a high innovation and business potential (Fig. 2). This is reflected by a large number of participants to the workshop. Beyond that, this is also reflected, for instance, by the fact that the European Commission has developed a value chain perspective in its Strategic Plan for Batteries, including the extraction and processing of primary and secondary raw materials. Funding to support innovation actions is made available through various channels (see Strategic Plan for Batteries). With its Lighthouse Programme Sustainable Material for Future Mobility, EIT RawMaterials – an innovation powerhouse funded by the European Commission – has committed a dedicated budget to support the up-scaling of technologies, education, and start-ups. Furthermore, the European Investment Bank has expressed its willingness to invest in raw materials related projects and the International Energy Agency finances a specific project on raw materials needs for electric and hybrid electric vehicles. There are significant ore deposits for future mobility related raw materials in Europe that could be exploited. Many projects are in a development phase and are struggling with a slow official permitting process and with securing funding, particularly through equity financing. It would be beneficial to further support the creation of synergies among the European actors to create cross-value chain alliances. There is also a need to work on the branding of mining and social acceptance, and to translate this into a comprehensive support for mining projects. The sustainability of products gains importance and may offer a competitive advantage for cell manufacturers and equipment producers. There is a strong interest in sustainable sourcing, by increasing the transparency in value chains, improving the LCA toolset, and the development of standards and ecolabels. Blockchain technology offers new possibilities. The social aspects of raw materials value chain become a significant factor. The Circular Economy of e-drives, magnets, and batteries is in its infancy. Large fractions of end of life batteries and magnets are not yet collected and transported to processing facilities for recycling. There is a need for innovation in the collection, dismantling and sorting of the end of life products. Innovation, business creation, and education in these fields need to accelerate today, considering the steep increase in battery and magnet use, particularly in automotive applications. Safety and responsibilities in the handling of end of life batteries and second life use are of concern and require attention from a legal perspective. The processing capacities for battery raw materials and rare earths do exist in Europe except those for lithium. Innovation and business potentials are significant. Processing companies explicitly expressed their interest to collaborate with new suppliers to diversify their supply chain. A European lithium processing capacity is urgently needed to make use of European sources, that is, both primary as well as secondary raw materials. A European rare earth permanent magnet value chain does exist, including the processing of rare earths, the alloying, and magnet manufacturing. However, today, it is insignificant in terms of size, despite the existence of world-class rare earth deposits, leading research institutions and decades of engineering know-how. European companies are largely depending on a supply chain dominated by China and, to a certain extent, Japan. Nevertheless, there are opportunities for obtaining rare earths and respective materials along a non-Chinese supply chain, incl. Australia. 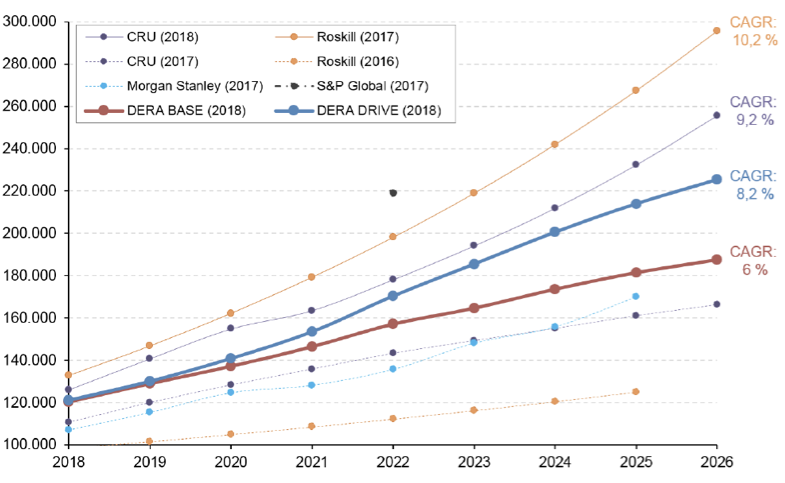 There are significant battery materials manufacturing capacities in Europe and promising initiatives to kick-off large-scale cell manufacturing. Huge investments are needed to translate promising R&D&I initiatives into production facilities. There is consent that such investments need to start today to catch up quickly with Asian competitors. R&D&I initiatives should focus on advanced lithium-ion as well as solid-state batteries as the most promising technologies. Advanced cathode and anode materials were discussed, including the mass manufacturing of lithium metal electrodes. Today, there is no alternative to Nd-Fe-B permanent magnets for high energy density e-drive applications. 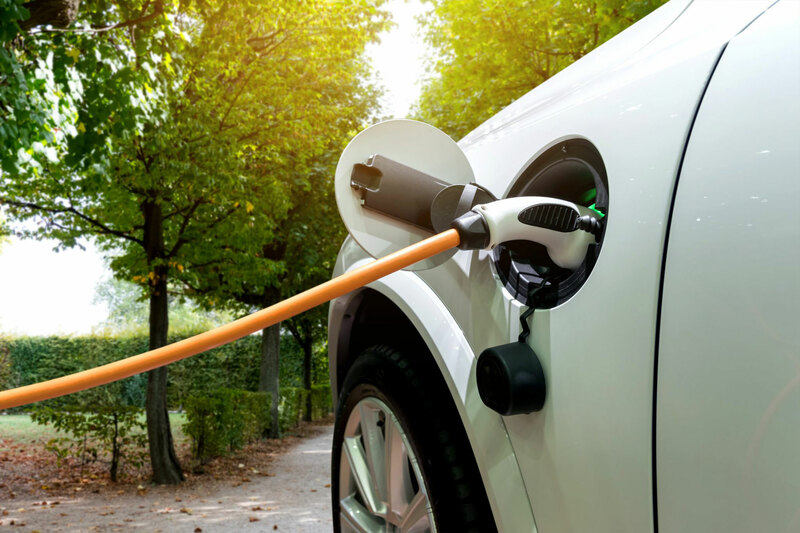 Partial substitution of Nd by Ce or La and the use of recycled Nd-Fe-B would offer a cost-efficient alternative, reduce the environmental footprint of the e-drives, and mitigate supply chain risks. These options, as well as rare earth free motor designs, are currently explored by OEMs. Overall, the use of permanent magnet drives is exponentially growing, due to their advantages in energy density, energy efficiency, noise and robustness. Over the last few years, the greatest advances have been made in the material efficient processing of magnetic materials and the tuning of performance characteristics. Additive manufacturing represents the latest attempt to optimizes magnet manufacturing and integration in e-drives. This approach still faces many challenges, particularly when it comes to microstructure design. Thus, the field offers great innovation potential. Magnetic cooling represents an opportunity for disruptive innovation in energy efficient cooling, thus for drastically decreasing greenhouse gas emission as well as securing jobs and growth in a huge market. The innovation breakthrough of this technology will be enabled when three components are successfully harmonised: i) optimised magnetic materials, ii) optimized machine design (concept), and iii) identification of a meaningful niche market.